Uranus orbits the Sun much further than the Earth, and so it takes much longer to orbit the Sun. How much longer? Uranus takes 84.3 years to complete its orbit around the Sun. 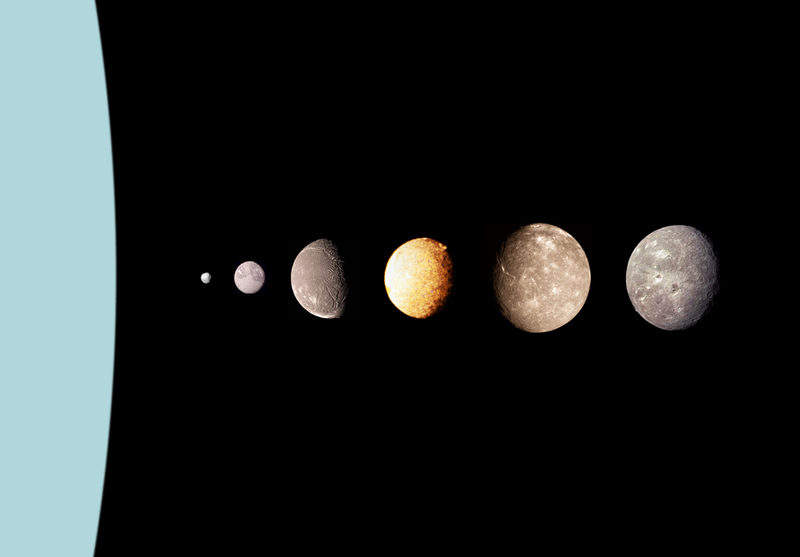 Uranus was only discovered in 1781 by Sir William Herschel. Since a year takes just over 83 Earth years, it completed its first orbit since discovery in 1865, and then its second in 1949. It’ll only complete its 3rd orbit around the Sun since its discovery in 2033. Unlike most of the planets, which have slightly tilted orbits, Uranus is completely tilted over on its side. It kind of looks like it’s rolling its way around as it orbits the Sun. What this means is that one of Uranus’ hemispheres is completely in sunlight for half of its orbit, and then its other hemisphere is in sunlight for the rest of its orbit. Each pole gets 42 years of continual sunlight, followed by 42 years of continual darkness. The orbit of Uranus is about the same length as the average life expectancy for a human being. In other words, if you were born on Uranus, you would only experience a single birthday, if you were lucky, after living for more than 84 Earth years. And nobody would experience two birthdays. We have written many articles about Uranus for Universe Today. 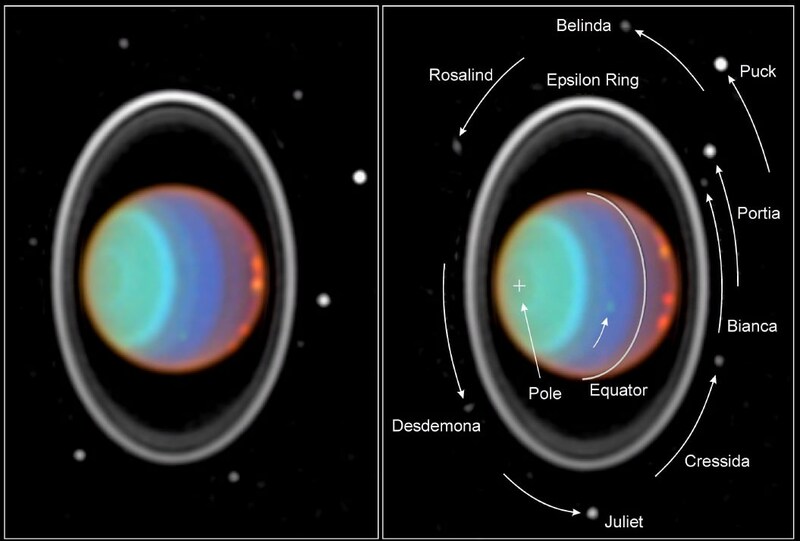 Here’s an article about how many rings Uranus has, and here’s an article about the atmosphere of Uranus. 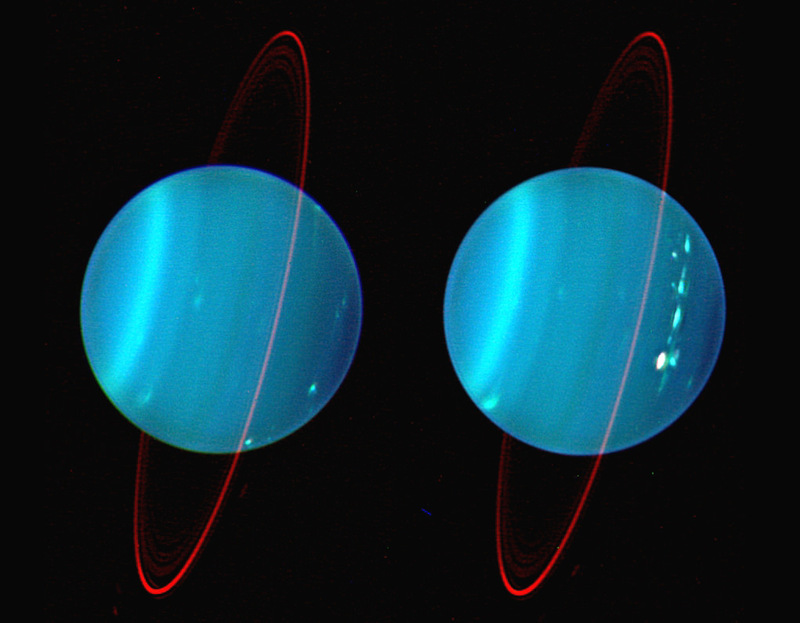 If you’d like more information on Uranus, check out Hubblesite’s News Releases about Uranus. 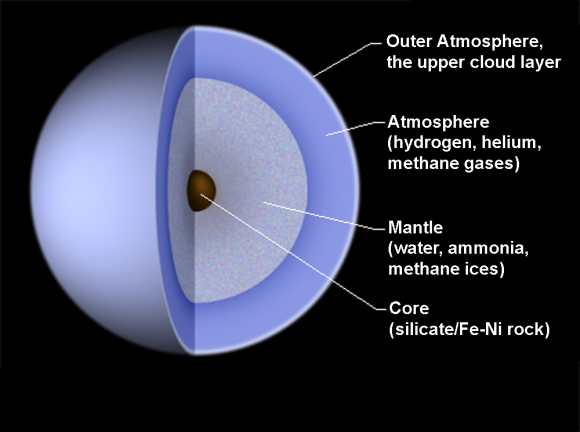 And here’s a link to the NASA’s Solar System Exploration Guide to Uranus. 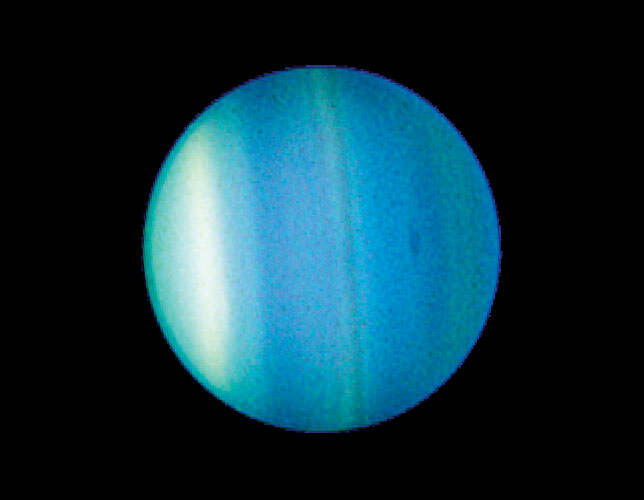 We have also recorded an entire episode of Astronomy Cast just about Uranus. Listen here, Episode 62: Uranus.